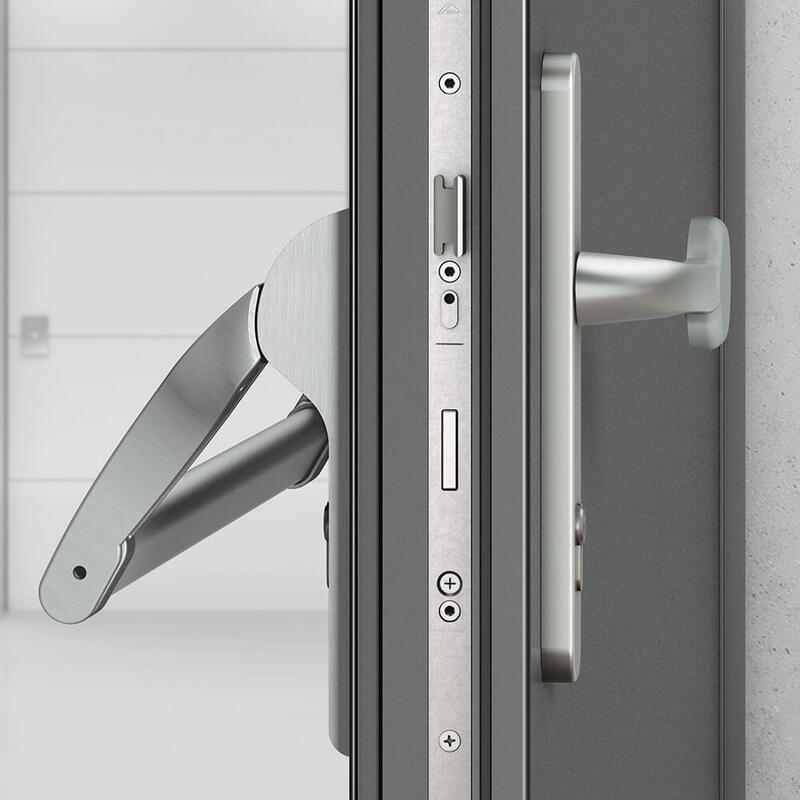 The Roto Safe H600 mechanical multi point locking system for main entrance doors features a unique combination locking system consisting of a power wedge and bolt that provides superior security and sealing. 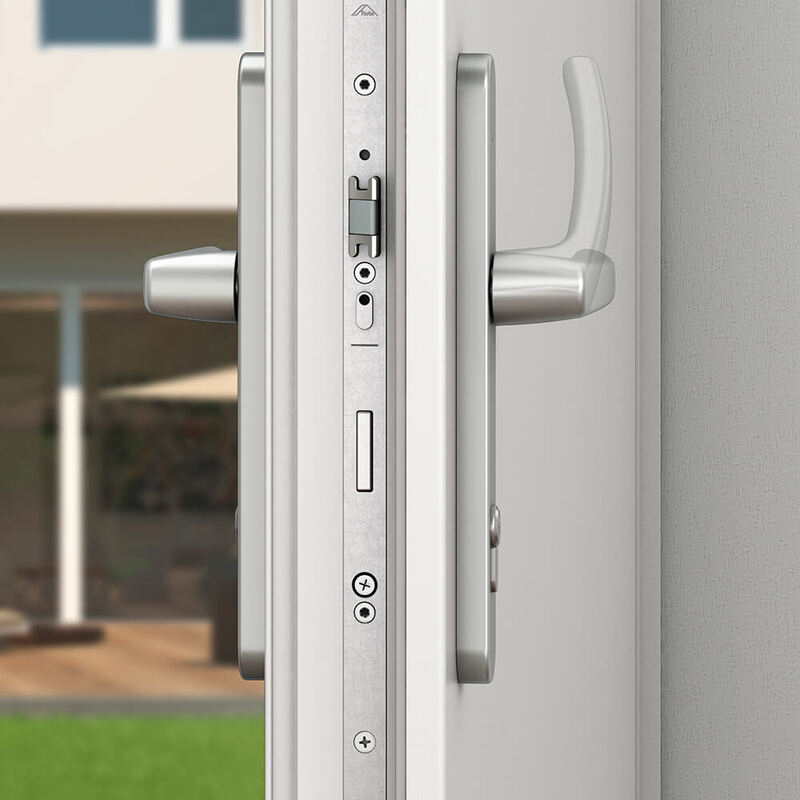 Locks all main doors (from a backset size of 25 mm and up to 3 meters in height) reliably and permanently tight against heat, wind, and cold, and break ins. Highest gasket compression for excellent tightness and highly effective for maximum energy efficiency and lower energy costs. Constantly high gasket compression prevents door from warping subsequently – even slightly warped doors still close tightly and securely. Smooth and convenient operation thanks to optimized transfer of power from the cylinder or lever handle to the lock.